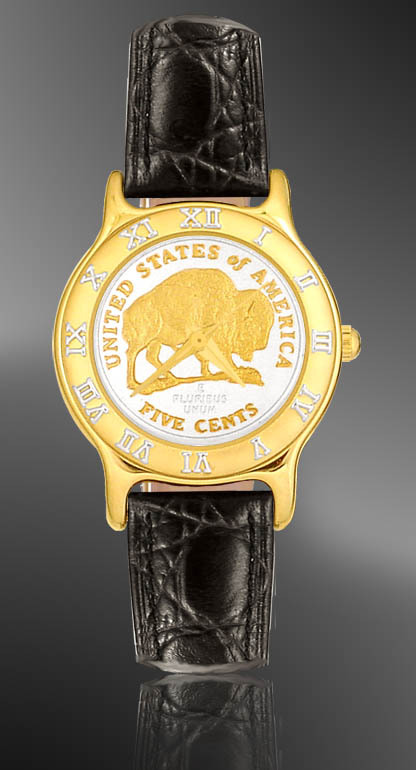 This Lexington ladies coin watch is our finest quality providing reliable, precision performance. 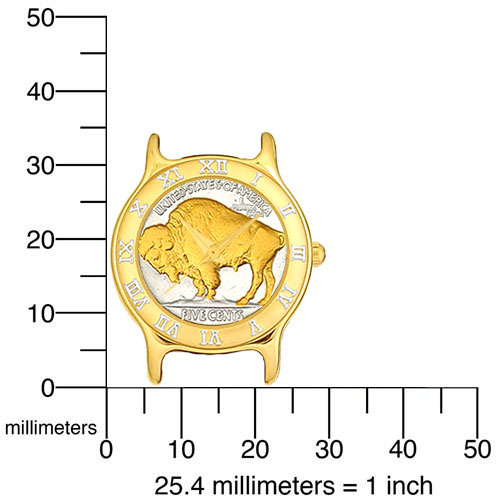 The dial is a handpicked extra fine US Mint issued Buffalo Nickel enhanced with our extreme precision 24K gold accents on silver plate AureTone ™ finish. A genuine Swiss quartz movement powers each watch, which is secured within a stylish and durable 3 micron heavy gold plate over stainless steel case and leather strap. This Lexington ladies coin watch is our finest quality providing reliable, precision performance. 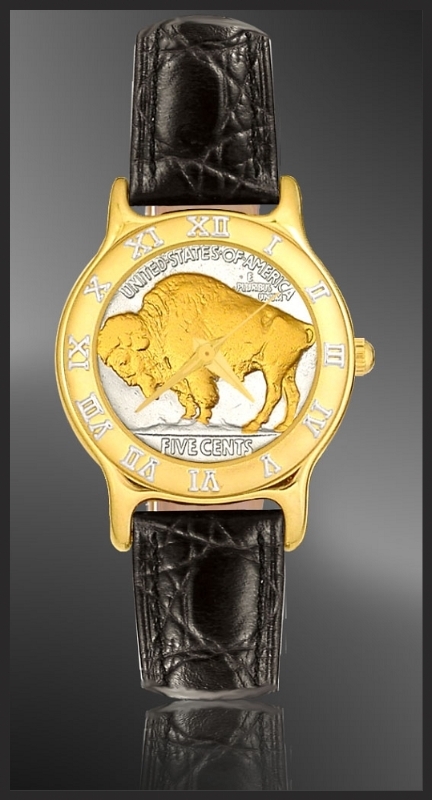 The dial is a handpicked extra fine US Mint issued Buffalo Nickel enhanced with our extreme precision 24K gold accents on silver plate AureTone ™ finish. A genuine Swiss quartz movement powers each watch, which is secured within a stylish and durable 3 micron heavy gold plate over stainless steel case and leather strap. Each comes with the security of a lifetime warranty against defect and is accompanied by a unique numbered signet and certificate of authenticity.